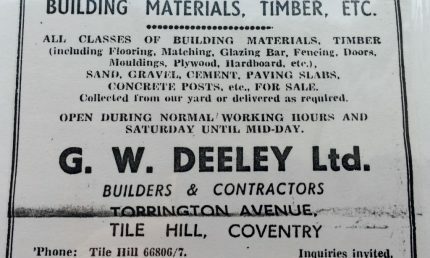 George Deeley, a bricklayer by trade, moved to Coventry to set up in business in 1936. He bought a house and yard in Avon Street, Stoke, and won his first contract to build houses in Bedworth for Weeford Estates. Business went well but was interrupted by the Second World War. George began a haulage company during the war years transporting mainly coal. G W Deeley air raid shelters won widespread acclaim as the best in the city! The 1940s saw George expand the business successfully. It undertook contracts to build council housing in Coventry and Rugby and by the end of the decade it had a workforce of 50. The 1950s and 1960s saw G W Deeley continue to expand both in size and its area of operation. It branched out from housing and created public buildings for Coventry City Council and Warwickshire County Council as the area thrived in the post war years. It built many schools including Cardinal Newman and Bishop Ullathorne in Coventry and Trinity School in Leamington, as well as Nuneaton Fire Station and St John Fisher Church in Wyken. The company had outgrown its Avon Street home and developed a new headquarters building on a green field site in Torrington Avenue. Peter Deeley joined the company and ran his first site in Balsall Common. It came in on time and on budget! 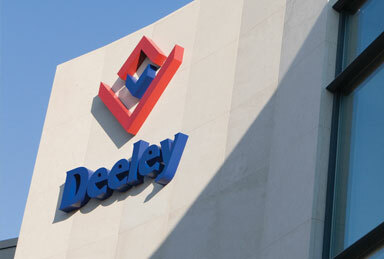 The Deeley Group expanded considerably in the 1970s and 1980s – both through natural growth but also through acquisition. 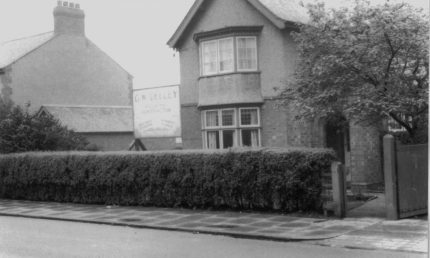 It was during this time that it bought out Garlicks – the oldest building contractor in the city. The company, which had been operating since 1834, was responsible for many of Coventry’s iconic industrial buildings such as the Triumph and Massey Ferguson’s headquarters buildings. The Deeley Group began to branch out into designing and building commercial property during the 1970s, first developing the Leofric Business Park in Binley. It also built the 16-storey BT Tower in the Butts, now the home of the Ramada Hotel, and the YMCA. The company opened a division in Saudi Arabia during the 1970s, helping the kingdom expand during the oil boom. It built schools, offices and housing. Torrington Avenue, Coventry had been Deeley Group’s home since 1959, but in 2008 it moved in its eco-friendly Head Office in Canley, Coventry. Today Deeley Group is one of the West Midland’s most respected independent construction & development firms . 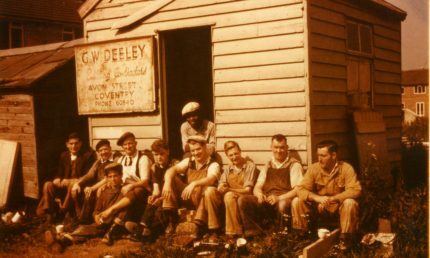 The roots of G W Deeley Limited are still planted under it’s current company name of Deeley Construction Limited.